In more alarming reports coming out of Tibet, a Tibetan man - the third in a single day - set himself on fire in Luchu region of Kanlho, eastern Tibet protesting China’s rule over of Tibet. A group of exile Tibetans from Luchu identified the Tibetan self-immolator as Gonpo Tsering, 24 years of age and father of three children, all below the age of six. Gonpo Tsering succumbed to his injuries at the site of his protest. Local Tibetans carried his charred body inside the Monastery where monks and a large number of Tibetans from the surrounding regions assembled, against official orders, to offer prayers for the deceased and express their solidarity. According to reports, Chinese security personnel and armed forces were immediately deployed in the region. Restrictions have been heightened as Chinese authorities are currently said to be investigating the protest. Gonpo Tsering is survived by his wife, their three children, and his parents. This is the second self-immolation protest in Luchu region. On November 22, Tamding Kyab, 23, a nomad and former monk, passed away in his self-immolation protest. He was cremated in the morning of November 25. Gonpo Tsering is the third Tibetan to self-immolate today. Earlier, a young Tibetan, Wangyalset himself on fire in the middle of Sertha town raising slogans for the return of His Holiness the Dalai Lama. Wangyal’s condition and whereabouts are not yet known after Chinese security forces took possession of his charred body. In Amchok region of Labrang, Kunchok Tsering, 18, passed away after he set himself ablaze near a mining site in the region. The deepening crisis inside Tibet has witnessed large scale anti-China protests and a series of self-immolations that has now seen 85 Tibetans set themselves on fire, since 2009, demanding freedom and the return of the Dalai Lama from exile. November alone has reported 23 self-immolations and protests by thousands of Tibetans, including by school students in Chabcha today and in Rebkong earlier this month. Chinese officials have reacted to the self-immolation protests with further restrictions and threats. According to the Dharamshala based rights group Tibetan Centre for Human Rights and Democracy, Chinese government officials in eastern Tibet have obtained signed statements from village officials and leaders to prevent any self-immolation under their jurisdiction. “From now onwards, each household will be made to sign a statement not to do any self-immolation. Those who refuse to sign such statements will attract immediate detention,” TCHRD said in a release today. Tibetan self-immolator Kunchok Tsering in an undated photo. In unrelenting reports of self-immolations coming out of Tibet, another Tibetan set himself on fire today in an apparent protest against China’s occupation of Tibet. Kunchok Tsering, 18, passed away in his self-immolation protest today in Amchok region of Labrang, eastern Tibet. He carried out his protest near a mining site in the region, the same place where Tsering Dhondup, 35, father of three, passed away in his fiery protest on November 20. According to reports, monks of the Amchok Monastery and a large number of local Tibetans are currently gathered at the deceased’s home to offer prayers. Kunchok Tsering is survived by his wife, Sangay Tso, 19 and parents Phagkyab, 40 and Gonpo Tso, 37, and an elder brother. Earlier today, a young Tibetan Wangyal set himself on fire in the middle of Sertha town raising slogans for the return of His Holiness the Dalai Lama. According to eyewitnesses, Wangyal’s hands were clasped in prayers as he ran raising slogans for the return of His Holiness the Dalai Lama and freedom for the Tibetan people. Also today, over a thousand school students in Chabcha, eastern Tibet carried out amassive protest after local Chinese officials distributed papers denouncing Tibetan self-immolators and disrespecting Tibetan language. Chinese security personnel used violent force to break up the peaceful demonstrations, causing severe injuries to many students. The deepening crisis inside Tibet has witnessed large scale anti-China protests and a series of self-immolations that has now seen 84 Tibetans set themselves on fire, since 2009, demanding freedom and the return of the Dalai Lama from exile. November alone has reported 22 self-immolations and protests by thousands of Tibetans. Yesterday, Sangay Dolma, a nun, passed away in her self-immolation protest in front of the Chinese government office in Dokarmo town of Tsekhog, Malho, eastern Tibet. Chinese authorities in the region have reacted by announcing a series of strict measurestargeting the ongoing wave of self-immolations with further restrictions, punishments, and threats. Chinese government authorities in Malho region issued a five-point notice on November 14 giving stern orders to local officials “to punish self-immolators and their families; even those who had offered condolences and prayers to the bereaved family members and relatives.” The notice further announced the cancellation of government aid to families of self-immolators as well as development projects in villages where similar protests have taken place. The exile Tibetan administration has maintained that the reasons for the self-immolations are self-evident: political repression, economic marginalisation, environmental destruction, and cultural assimilation. .
A Tibetan student injured by Chinese forces for taking part in a peaceful protest in Chabcha, eastern Tibet on November 26, 2012. In reports coming in, over a thousand Tibetan students in Chabcha region of Tsolho eastern Tibet have been carrying out major protests against the Chinese government since early this morning. Confirmed reports and images that have reached Phayul show students carrying severe injuries being carried to hospitals after Chinese armed forces cracked down on the peaceful protesters. The students are from the Chabcha Sorig Lobling School. Around two hours later, Chinese armed forces began a severe crackdown on the students, most of whom are in their early to middle teens. “Chinese force started to severely beat the students without provocation, injuring many,” Tenpa said. “According to sources in the region, four students have been severely injured and many more have been hospitalised.” Other sources tell Phayul that the number of injured could be much higher. The Chabcha Sorig Lobling School is currently under complete lock down and Chinese security forces have sealed the area. There are also reports that Chinese security forces fired live rounds during the protest, although it is not clear whether the shots were fired at the students or in the air to disperse the protesters. Other sources tell Phayul that the protests this morning were triggered when local Chinese officials distributed a paper denouncing Tibetan self-immolators and disrespecting Tibetan language. Earlier this month, thousands of Tibetan school students in the Rebkong region of eastern Tibet carried out a major street protest in front of the local Chinese government offices. 5000 to 6000 students demonstrated in the streets of Rongwo town raising slogans for His Holiness the Dalai Lama’s return and rights of the Tibetan people. The deteriorating situation inside Tibet has witnessed 82 self-immolations since 2009 in Tibet and major protests by thousands of Tibetans. Chinese security forces have retaliated with violent force, opening random fire and beating peaceful protesters. In confirmed reports coming out of Tibet, a Tibetan student set himself on fire today in Sertha region of eastern Tibet in an apparent protest against China’s rule. The young Tibetan man has been identified as Wangyal, a student of Sertha People’s Middle School. Speaking to Phayul, Sertha Tsultrim Wozer, a Tibetan living in south India said Wangyal set himself on fire in the middle of Sertha town earlier today and raised slogans for the return of His Holiness the Dalai Lama. Wangyal ran to the golden horse statue in the middle of Sertha town and fell on the ground. “Chinese armed forces immediately arrived at the scene of the protest and took Wangyal away after dousing the flames,” the same source added. Wangyal’s condition and whereabouts are not yet known although eyewitnesses say his entire body was engulfed in flames and he could have suffered major injuries. 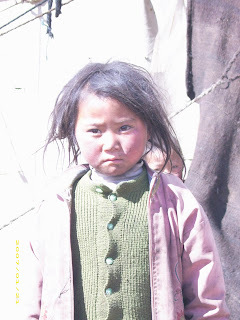 Wangyal is around 20 years of age and an orphan. He has three brothers and one sister. The deepening crisis inside Tibet has witnessed large scale anti-China protests and a series of self-immolations that has now seen 82 Tibetans set themselves on fire, since 2009, demanding freedom and the return of the Dalai Lama from exile. November alone has reported 20 self-immolations and protests by thousands of Tibetans, including by school students in the Rebkong region of eastern Tibet. Tibetan spiritual leader His Holiness the Dalai Lama has said that the ongoing wave of self-immolations inside Tibet brings tears to his eyes. The 77-year-old Tibetan leader was speaking to a reporter from the Indian national television channel Doordarshan in south India on Saturday. 81 Tibetans; monks and nuns, young mothers and students, artists and writers, farmers and nomads, have set themselves on fire since 2009 protesting China’s continued occupation of Tibet and demanding freedom and the return of His Holiness the Dalai Lama from exile. In the interview, the Tibetan leader noted that he sees the self-immolations as a symptom of problems that Tibetans did not create and reiterated his appeal that the Chinese authorities investigate the real causes of the fiery protests. Meanwhile, a senior Chinese leader in the troubled region of eastern Tibet has called for a further intensification of the crackdown on Tibetan protesters in a speech in Ngaba. "Our struggle with the Dalai (Lama) splittist clique is long-term, arduous and complicated. In fighting separatism and upholding stability we can never relax our work in the slightest," AFP quoted Sichuan Communist Party head Wang Dongming as saying. "We must strengthen and be innovative in accordance with law in our management of the monasteries and unite the people in the common task to fight separatism and maintain stability." The month of November is witnessing an alarming escalation in the fiery protests with 19 self-immolations already, making this the deadliest month since the protests began. Thousands of Tibetans, including school students, have carried out mass protests and rallies against China’s rule. In more alarming reports coming out of Tibet, another Tibetan set himself on fire in an apparent protest against Chinese rule on Friday, November 23 in Tsekhog (Ch: Zeku) region of eastern Tibet. Tamding Dorjee, 29, set himself ablaze near the entrance of the local Chinese administrative office of Dokarmo town in Tsekhog region of Malho at around 6:30 pm (local time). According to exile sources, Tamding Dorjee raised slogans for the long life of His Holiness the Dalai Lama with folded hands while engulfed in flames. He passed away at the site of his protest. Following the self-immolation protest, thousands of local Tibetans gathered to offer prayers and attend the funeral which was carried out later in the night. Latest reports indicate that local Chinese authorities have cut off Internet and phone lines in an attempt to contain the spread of the news. With Tamding Dorjee’ self-immolation protest, 81 Tibetans have now set themselves on fire in Tibet since 2009, demanding freedom and the return of His Holiness the Dalai Lama from exile. The alarming escalation in the fiery protests has already witnessed 19 Tibetans burn themselves in the month of November alone with seven self-immolations in the last seven days. Yesterday, thousands of Tibetans and supporters including the Tibetan Chief Justice Commissioners, Speaker Penpa Tsering, Sikyong Dr Lobsang Sangay, Kalons, members of parliament, and school students attended a prayer service held in honour of Tibetan self-immolators at Tsug-la Khang, the main temple in Dharamshala. Special prayers were offered for Wangchen Norbu, 18; Tsering Dhundup, 35; and Lubum Gyal, 18 who set themselves on fire in protest against China’s occupation of Tibet. Wangchen Norbu, 25, set himself ablaze on Monday near the Kangtsa Gaden Choephel Ling Monastery. He passed away at the site of his protest. He raised slogans for the return of His Holiness the Dalai Lama from exile, release of the Panchen Lama and freedom for Tibet. On Tuesday, Tsering Dhondup, 35, set himself ablaze on a ground near the entrance of a mining site in Amchok region of Labrang Sangchu. He succumbed to his injuries at the site of his protest. Tsering Dhondup is survived by his wife Tamding Tso, their three children, and his parents. Lubum Gyal, 18, set himself ablaze in Dowa town of Rebkong, eastern Tibet on Thursday in an apparent protest against China’s continued occupation of Tibet. Speaking at the prayer service, Sikyong Dr Lobsang Sangay said the prayer services were significant as they send a message of solidarity from exile Tibetans to Tibetans inside Tibet. “We hold the prayer services in honour of the self-immolators’ families, Tibetans in prison and for those Tibetans who have lost their lives for Tibet,” Sikyong Sangay said. The Dalai Lama recently told reporters that China’s repressive policies and the unbearable situation in Tibet are forcing Tibetans to set themselves of fire in Tibet. Tibetan self-immolator Tamding Kyab, 23, in an undated photo. DHARAMSHALA, November 23: In confirmed reports coming out of Tibet, another Tibetan set himself on fire late last night in an apparent protest against China’s continued occupation of Tibet. The Tibetan man, the 80th to self-immolate inside Tibet since 2009, has been identified as Tamding Kyab. “Tamding Kyab, 23 years of age, set himself on fire on November 22 at around 10 pm (local time) in the Kluchu region of Kanlho, eastern Tibet,” exile Tibetans hailing from the region told Phayul. “After local Tibetans recovered Tamding Kyab's charred body this morning, they carried it to his home." Monks from the nearby Shitsang Monastery have been performing prayers at the deceased's home and also carried out the last rites today. A nomad, Tamding Kyab was earlier a monk at the Shitsang Monastery, where currently his younger brother is studying. The charred body of Tamding Kyab placed under a photo of His Holiness the Dalai Lama. Tamding Kyab passed away in his self-immolation protest against China's rule on November 22, 2012. Tamding Kyab frequently spoke out the ongoing self-immolation protests and expressed his desire for the return of His Holiness the Dalai Lama. "Whenever he heard of a self-immolation protest, he used to say, "How I wish I could also sacrifice my life" and often stated that without the return of His Holiness the Dalai Lama to Tibet, there is "no difference between living and dying" in this world," the same sources said citing contacts in the regions. The alarming escalation in self-immolation protests has already witnessed 18 Tibetans set themselves on fire in the month of November alone, making this the deadliest month since the protests began. Thousands of Tibetans, including school students, have carried out mass protests and rallies demanding freedom and the return of His Holiness the Dalai Lama from exile. Earlier this month, local Chinese authorities in Kanlho (Ch:Gannan) imposed a “near-total information blockade” in the region following seven self-immolations in the past month. Local authorities clamped down on the Internet and mobile phone lines, imposing an indefinite ban on the sale of mobile SIM cards on three known shops in Sangchu, while restricting the sale of petrol and other flammable liquids in towns and villages in the area. Also in the region, local Chinese authorities posted notices last month, offering 50,000 Chinese Yuan (US $ 7,913) for information on “the sources of scheming, planning, and instigating” self-immolations.